When you donate ‘In Their Honor’, your friends, family or loved ones will receive a lovely card either sealed in an envelope or via Email, letting them know that you gave ‘In Their Honor’ with a personal message from you. Your contribution directly assists young children from Dolpo and other Himalayan villages with their education, medical, shelter and emergency funds. 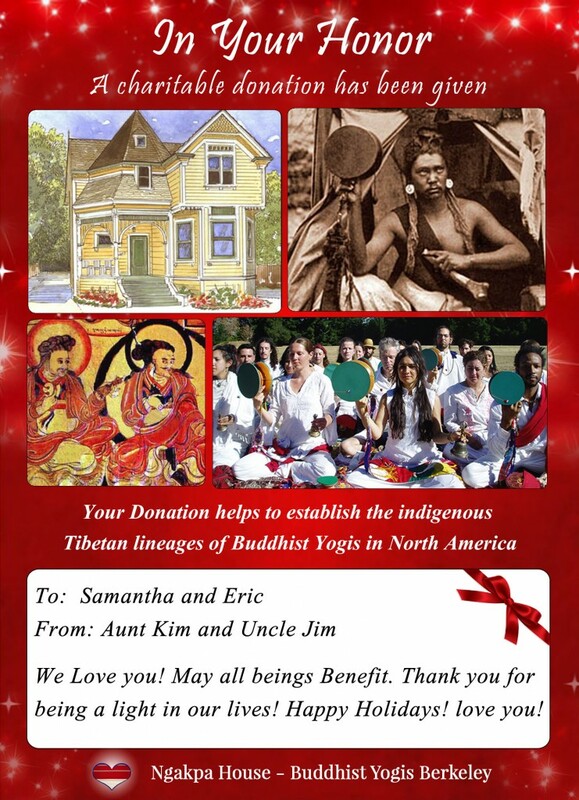 At Ngakpa House, it is one of our great joys to share the energy of generosity with as many beings as possible. We are grateful to be working with individuals such as your self to bring this spirit of love and giving to these children and to the person on whose behalf you gave. Together, let us continue to build a bridge between the hearts of the people of this earth. 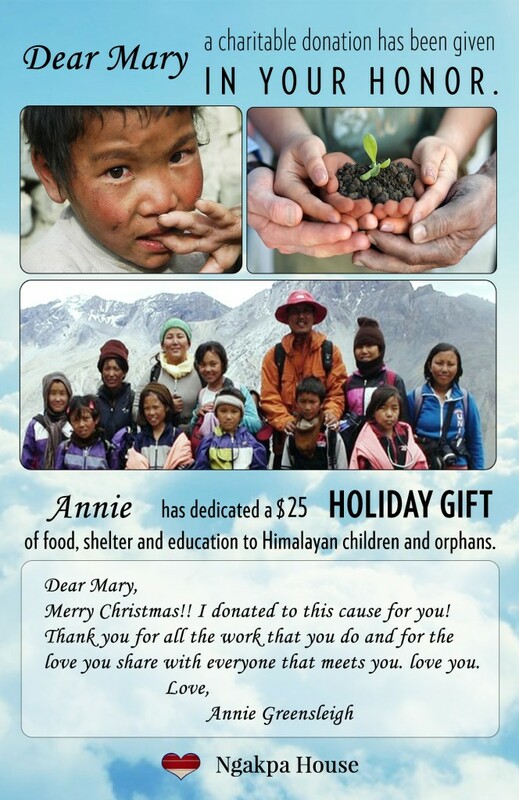 When you pledge, you are committing to have the goal of raising $500 through card gifting by reaching out to your friends and family and asking that they donate to the orphanage and school this year for the holidays on behalf of their loved ones. It is hoped that by having several pledges, we will motivate and inspire our loved ones to think outside the box this year for holiday gifting, and open up the spirit of this generosity to more and more people. If you would like to offer a pledge, please email Info@NgakpaHouse.org so we can give you some materials to start with and keep you in the loop with the other pledges, and support you in the process.